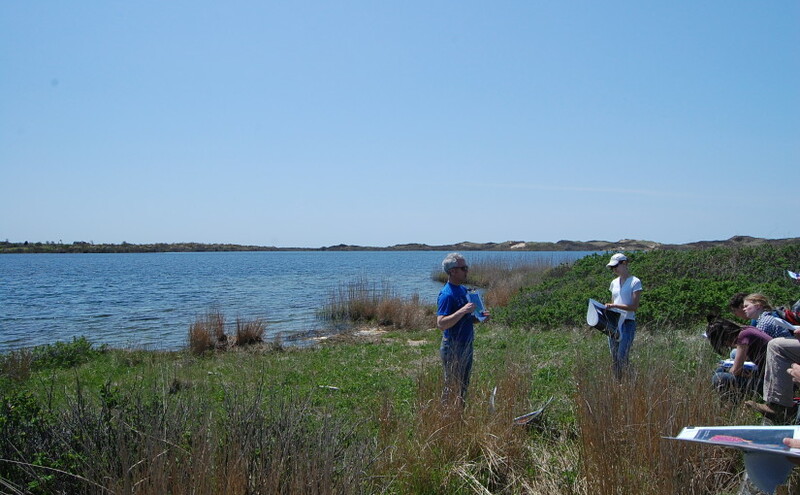 For my remote sensing class, we went on a ground-truthing trip to Block Island. In lab, we each did a region-of-interest supervised classification of some IKONOS data. The purpose of the field trip was to assess the accuracy of our classification. We lucked out on the date of the field trip and got perfect weather: clear skies and high 70s. Using a few of the photos from Sachem Pond, I made my first panorama (Photoshop did most/all of the work). Considering I just used the automatic warp and default settings, it came out really nicely.